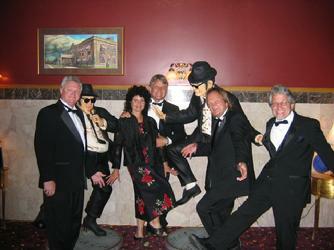 Since 1980, The Jack Clarkson Band has performed at over 4,000 events. With guitar, keyboards, bass, saxophone, drums, violin, mandolin, and using highly experienced studio musicians, we are able to cover a huge range of material for the private and business sector; anything from fairs, conventions, weddings, reunions, and concerts, from small venues to lead-in’s for major acts. Our lead-in performances have included several artists in the Rock & Roll, Country, and Bluegrass Halls of Fame. “The Jack Clarkson Gospel Band” Tess, Jack and Rick Nalett perform at their home church in Ovid, MI every Sunday at 10:30 a.m.. This year they will be performing anywhere from Escanaba to a church near you! Fun and spirited, you’ll come away feeling happy.